Despite the month ending in storms, there are signs that spring is on the way. 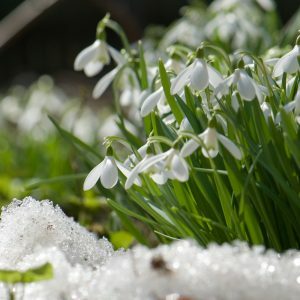 Snowdrops and daffodils are poking green shoots up through the snow and there are more birds about, ready to start building their nests. After a long cold winter we’re all ready to get out and about – some fresh air, long walks and even cycling ahead. We know that there are some fabulous places to visit in the West Midlands, so we’ve asked you to share some of your favourite with us. Here’s what you recommended. When you live in the middle of a town, it can be hard to imagine beautiful countryside a mile or two away. Park Lime Pits is just that – a stunning nature reserve only 3 miles outside of Walsall, complete with tranquil pools, mature woodland and a diversity of wildflowers and birds. We’ve been told you can even see wild parakeets – make sure you take a camera. If you feel like a good walk to stretch your legs, then set off to the top of Barr Beacon. One of the highest points of the West Midlands, you’ll find outstanding panoramic views of 11 counties. One of the focal points is the War Memorial, lovely in the daylight and magical at night for the clear night sky views. In fact, it’s a popular place for stargazing and has been designated a Dark Sky Discovery Site. The Red House is a listed building standing in 27 acres of parkland. While the house itself has been converted to apartments, the park remains open to the public. Two pools – or small lakes – and beautifully maintained gardens provide a lovely area for walking, while the woodlands, park and playing fields are the perfect place for children to blow off some winter steam. 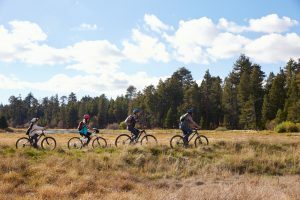 With 15 lakes to explore, you could send the whole day here cycling. There’s fishing, sailing, pedal boats – everything you would expect from a water park, in fact. Children will love the farm and donkey rides, as well as the usual play areas. Hop onto the Echills Wood Railway for a fun way to explore more of the park’s wooded areas. Shustoke Reservoir is a lovely place to hike or bike, and is certainly popular with nature lovers for the abundance of wildflowers. There’s an on site café if you need a hot chocolate in the crisp spring air – but we particularly liked that this recommendation came with the suggestion of stopping in at The Plough after your hike for a well-deserved pint. The most popular place you suggested by far was Sutton Park and it’s easy to see why. 2,400 acres of Nature Reserve, with heathland, woodlands, lakes, marshes, cattle and wild ponies sound amazing already, but on top of that there are playgrounds, restaurants and cafes, sailing and fishing, as well as plenty of room for walking and cycling. Whether you’re walking your dog, exploring the woodlands, looking for group fun or peace and quiet, this really is a place for everyone. Make sure that when you visit, you stop by the donkey sanctuary. The West Midlands has a multitude of nature reserves and countryside spots to visit. We’ve picked out the ones closest to home here near Sutton Coldfield and Minworth, but we’d love to hear more suggestions. If you’re planning to head out into the fresh spring air, tell us about your favourite place to visit.